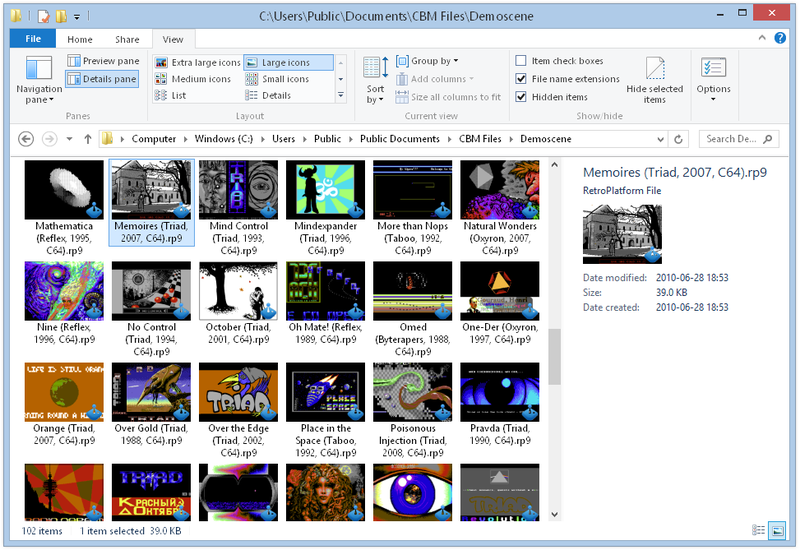 RP9 files are the retrogaming equivalent of MP3: one file type for multiple platforms, one click to play. No more multiple-file sets for a single game, no more ZIP archives (RP9 files are already compressed). The RP9 thumbnail provider adds pure eye candy in File Explorer.